​We are a reputed telemarketing firm with years of experience in offering right personnel for the right jobs to our clients who wish to hire the best talents for their telemarketing projects. Many telemarketing firms abruptly move towards curtailing their administrative expenses by hiring employees on lesser salary and payment. ​But, we never do such things. For us, ensuring quality services to our clients is of paramount importance! We believe in the success of our clients, and provide the best and outstanding services to them 24x7. We are particularly conscious of the age-group of our employees. The average age of our employees is 35, with a combination of fresh zeal and experience. All our employees go through mandatory training programs to enhance their knowledge and communication abilities. We always put quality ahead of quantity. So, we appoint highly erudite staffs with adequate technical skills. ​Our team works in different shifts to take queries from the clients round the clock shift-wise throughout the day and night as well. ​We ensure the use of the modern technology in the outbound calling process to accomplish the best result for our clients. Our call center uses high-quality tools and equipment for the smoother functioning of the call and telemarketing activities without a hitch. Our telemarketing schemes and facilities include a host of services, especially, customized to suit the requirement of our clients and consumers. Outstanding technical support with online assistance is the benchmark for all our services. Use of Multiple servers so that work continues if one or two systems crash out. ​We are adept at offering every type of outbound telemarketing services and assistance to our clients on short notices. We formulate appropriate business strategies to meet our client’s business and project needs in a phase-wise manner. At present, we have two outbound telemarketing call centers with the most advanced ​equipment and devices. We also provide other additional vital services to clients starting from appointment setting, database update, telemarketing, and much more through up-selling. We fully satisfy their demands with our outstanding range of services on time and in a flawless manner. ​We treat every customer on a priority basis and develop a free script for him or her depending on the requirement of the business enterprise. We believe in offering quality call center scripts that can fulfill the client’s lead generation purposes. We have a proven track record in doing so for the last few years together. We formulate innovative and compelling call center scripts for our clients. Our primary focus stays on to create the best content for our clients in the script. Formulation of the call center scripts and other creative services is managed by our team of highly qualified and experienced personnel. We aim to create a long-term relationship with our customers by offering them outstanding imaginative services that help their business grow. We are now a multi-million dollar firm with a pool of satisfied customers worldwide. Our motto is client satisfaction, and we try our best to derive so. ​Our campaigns are based on the ​clients requirement. We launch appropriate telemarketing and sales strategy for them. We cover the outbound campaigns all companies and firms relating to various businesses. ​Most of our outbound telemarketing agendas comprise of free script writing. Call center script is the essential key to any successful outbound telemarketing campaign. Our track record is outstanding in developing the same for our clients. A team of our highly qualified and creative scriptwriters works relentlessly to develop innovative and convincing calling script. It inspires your potential customers to buy or engage with your firm. ​In a short span of time, we are ​an outbound telemarketing firm with amicable and durable collaboration with our clients. Client’s satisfaction is our motto, and we do everything possible to achieve the same. Our creative department works incessantly before proceeding with any new campaign. It is only after due deliberations and umpteen brainstorming sessions that we finalize a perfect outbound campaign strategy for our client. We deeply analyze client’s services or products, and then determine why they are the best in that segment? Then we plan astute telemarketing and sales strategy for them. Over the period, our organization has almost successfully campaigned for all companies under the sky. 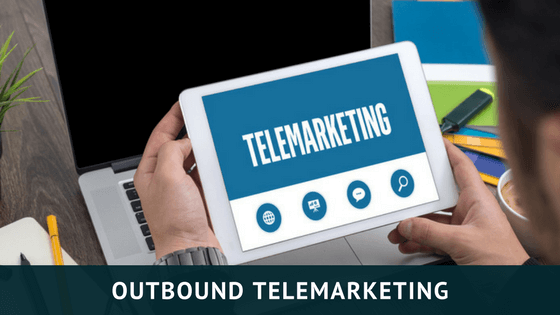 ​Outbound telemarketing is indispensable to the success of a business firm. Implementing a productive telemarketing strategy for business growth is necessary to get potential clients and customers from time to time. There is a minute difference between telemarketing and telesales. Telesales refer to open and close of business deals over a telephone, but telemarketing means a creation of potential business opportunities for clients using market research, survey and competitor analysis. Outbound telemarketing is indispensable to the success of a business firm. Implementing a productive telemarketing strategy for business growth is necessary to get potential clients and customers from time to time. In a short span of time, we are now a large outbound telemarketing firm with amicable and durable collaboration with our clients. Client’s satisfaction is our motto, and we do everything possible to achieve the same. Most of our outbound telemarketing agendas comprise of free script writing. 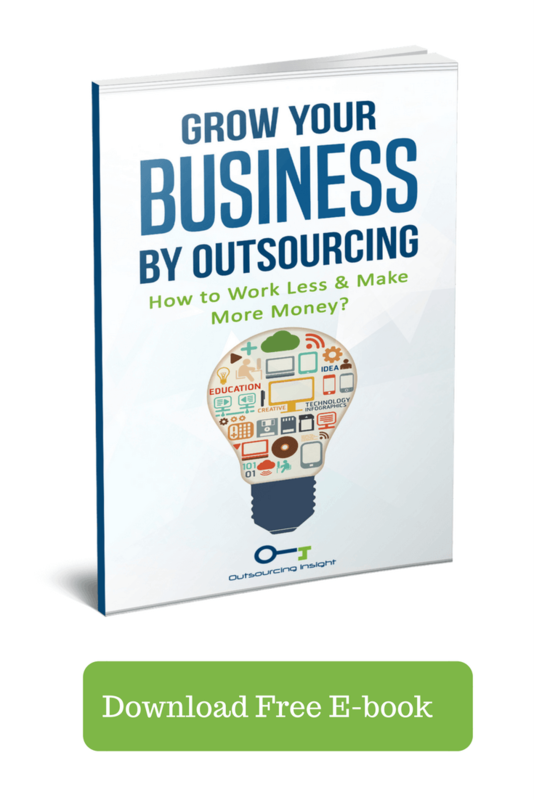 Call center script is the essential key to any successful outbound telemarketing campaign. Our track record is outstanding in developing the same for our clients. Our campaigns are based on the clientele requirement. We launch appropriate telemarketing and sales strategy for them. We cover the outbound campaigns all companies and firms relating to various businesses. We treat every customer on a priority basis and develop a free script for him or her depending on the requirement of the business enterprise. We believe in offering quality call center scripts that can fulfill the client’s lead generation purposes. We have a proven track record in doing so for the last few years together. We are adept at offering every type of outbound telemarketing services and assistance to our clients on short notices. We formulate appropriate business strategies to meet our client’s business and project needs in a phase-wise manner. At present, we have five outbound telemarketing call centers with the most advanced call center equipment and devices. 10) Use of Multiple servers so that work continues if one or two systems crash out. We ensure the use of the modern technology in the outbound calling process to accomplish the best result for our clients. Currently, our existing team consists of around 1000 outbound telesales personnel. They work in a shift to take queries from the clients round the clock shift-wise throughout the day and night as well. 4) The average age of our employees is 35, with a combination of fresh zeal and experience. 5) All our employees go through mandatory training programs to enhance their knowledge and communication abilities. 6) We always put quality ahead of quantity. So, we appoint highly erudite staffs with adequate technical skills. But, we never do such things. For us, ensuring quality services to our clients is of paramount importance! We are a reputed telemarketing firm with years of experience in offering right personnel for the right jobs to our clients who wish to hire the best talents for their telemarketing projects. ​1) Initiate a two-way Conversation: communication is a two-way process. A tele caller can’t go on and on without listening to what the other party speaks. A person receiving the call may also have some questions. A tele caller must listen to the same. 2) Stay Ready to Hear No and No, Thanks: No matter, how well you talk, eventually customers will have the last laugh. Be prepared to hear no and no, thanks to a telemarketing effort. It shouldn’t deter your determination, and you may politely argue your points. If still, customers say no, then let it be. Telemarketing is an art, and it always requires perseverance and continuous attempts. ​3) Creation of Crispy Calling Scripts: A Firm has to write applicable calling scripts for initiating chats with random customers. Convincing calling script guides how a firm conducts the first part of a call. A call script should be poignant enough to convert any casual conversation to a potential lead. 3) Creation of Crispy Calling Scripts: A Firm has to write applicable calling scripts for initiating chats with random customers. Convincing calling script guides how a firm conducts the first part of a call. A call script should be poignant enough to convert any casual conversation to a potential lead. 1) Initiate a two-way Conversation: communication is a two-way process. A tele caller can’t go on and on without listening to what the other party speaks. A person receiving the call may also have some questions. A tele caller must listen to the same. ​4) Converse Politely and Confidently: Cold calling is a tough task. However, a tele caller has to exude confidence throughout a call. He must lucidly relay the message to avoid any miscommunication. Calmness in voice and following proper calling etiquette during a call is essential. 4) Converse Politely and Confidently: Cold calling is a tough task. However, a tele caller has to exude confidence throughout a call. He must lucidly relay the message to avoid any miscommunication. Calmness in voice and following proper calling etiquette during a call is essential. ​5) Identify a Plan: Planning is the basis of any telemarketing strategy. Collection of email ids is critical to proceed with a telemarketing campaign. The firm has to convince its potential customers or leads meticulously to affect sales. 5) Identify a Plan: Planning is the basis of any telemarketing strategy. Collection of email ids is critical to proceed with a telemarketing campaign. The firm has to convince its potential customers or leads meticulously to affect sales. ​6) Handling the Reception Desk: These days, receptionists are directed not to divulge too much about the company information to callers over a telephone. They are also asked not to connect calls directly to company officials without valid purposes. ​7) Calling at Unofficial Hours: You can call a few minutes before the office is opened and half an hour after it closes. You may get to chat directly with a responsible company official, who usually works beyond official hours but senior personnel does so. 7) Calling at Unofficial Hours: You can call a few minutes before the office is opened and half an hour after it closes. You may get to chat directly with a responsible company official, who usually works beyond official hours but senior personnel does so. 6) Handling the Reception Desk: These days, receptionists are directed not to divulge too much about the company information to callers over a telephone. They are also asked not to connect calls directly to company officials without valid purposes. ​8) Call Helpdesk: Calling helpdesk is another option. Helpdesk includes working professional and staffs who work at unofficial hours and always ready to assist the callers. You have to handle the situations confidently. 8) Call Helpdesk: Calling helpdesk is another option. Helpdesk includes working professional and staffs who work at unofficial hours and always ready to assist the callers. You have to handle the situations confidently. ​9) Hand Each Call Politely: Whether a call ends with customers’ yes or no, a tele caller has to be polite and end the call while thanking the customers for dedicating his time for the chat. Courtesy costs nothing, and customers always remember the first interaction with a call center executive. 9) Hand Each Call Politely: Whether a call ends with customers’ yes or no, a tele caller has to be polite and end the call while thanking the customers for dedicating his time for the chat. Courtesy costs nothing, and customers always remember the first interaction with a call center executive. ​10) Take Actions: Don’t forget to offer some printed marketing materials to the potential leads if you have promised to do so. Always try to live up to your promises. Customers never want to hear false promises to supply them with some tangible resources such as the pamphlets or promotional emails if you promised the same. ​If you are looking to outsource your telemarketing with us, feel free to contact us. 10) Take Actions: Don’t forget to offer some printed marketing materials to the potential leads if you have promised to do so. Always try to live up to your promises. Customers never want to hear false promises to supply them with some tangible resources such as the pamphlets or promotional emails if you promised the same.